Product prices and availability are accurate as of 2019-04-19 16:12:38 UTC and are subject to change. Any price and availability information displayed on http://www.amazon.com/ at the time of purchase will apply to the purchase of this product. 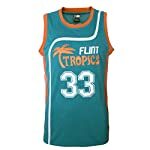 Buy Your Basketball Jerseys in Bulk and SAVE! 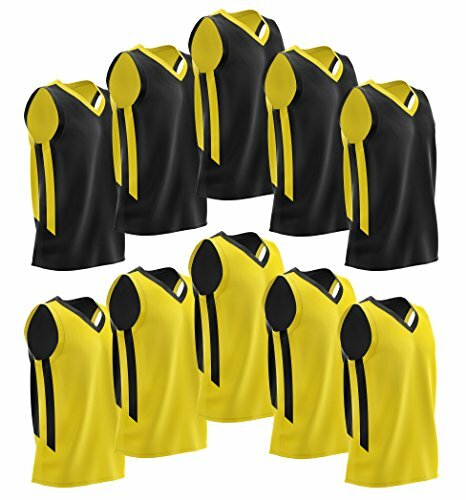 Set of 10 Adult Men's Premium Basketball Jerseys Sized to Fit Most Adult Teams. We Use the Highest End Premium Quality Fabric for our Jerseys. Great for Basketball Leagues. IMPORTANT: Sizes: Each Set includes -- 2 Medium, 5 Large, 2 XL, 1 XXL -- for a total of 10 Jerseys! 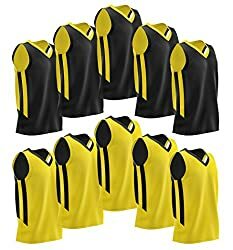 Medium -- Suitable for Players 5'5" - 5"10 Large -- Suitable for Players 5'7" - 6'0" XL -- Suitable for Players 6'0" - 6'3" XXL -- Suitable for Players 6'2" - 6'5"